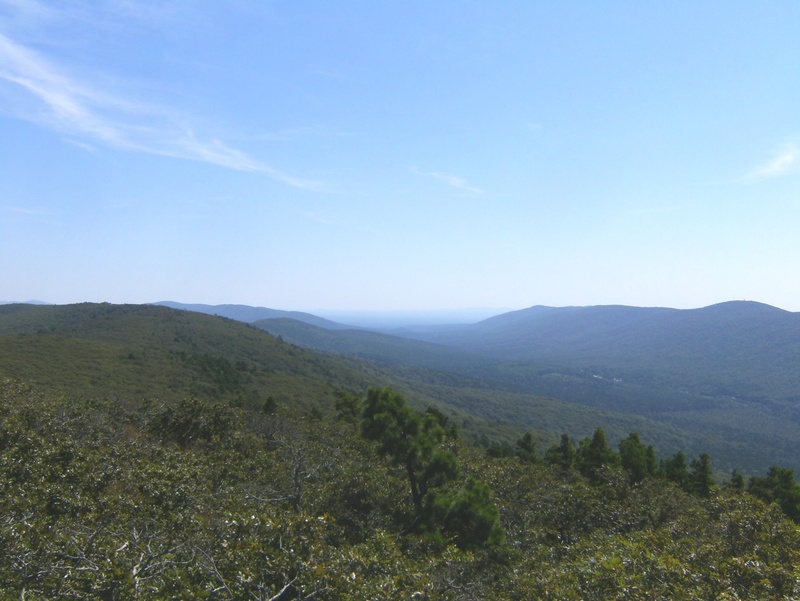 I hiked earlier in the week at Lake Alma (a bit NE of Fort Smith) and the Pigeon Roost Trail at Beaver Lake – two new trails for me – but the best of the week by far was today’s hike on the Black Fork Mountain Trail. 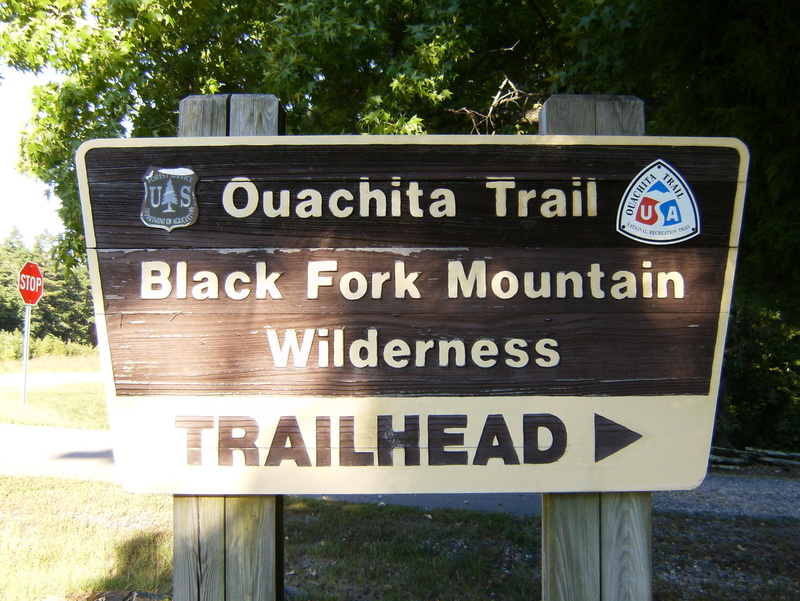 Black Fork Mountain is north of and runs parallel to Rich Mountain, straddles the state line with Oklahoma, is almost entirely contained in the Black Fork Mountain Wilderness, is home to a short piece of the Ouachita Trail, and is the source of the Ouachita River. 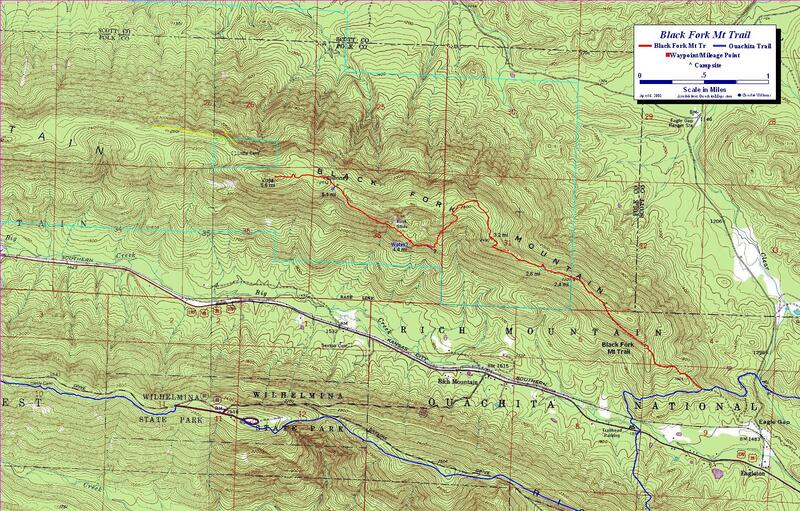 The Black Fork Mountain Trail has been well described by Tim Ernst as a challenging 11.6 mile out-and-back. Of course, you can do it as a multi-day hike if you want and I collected ample evidence that people do camp up there. 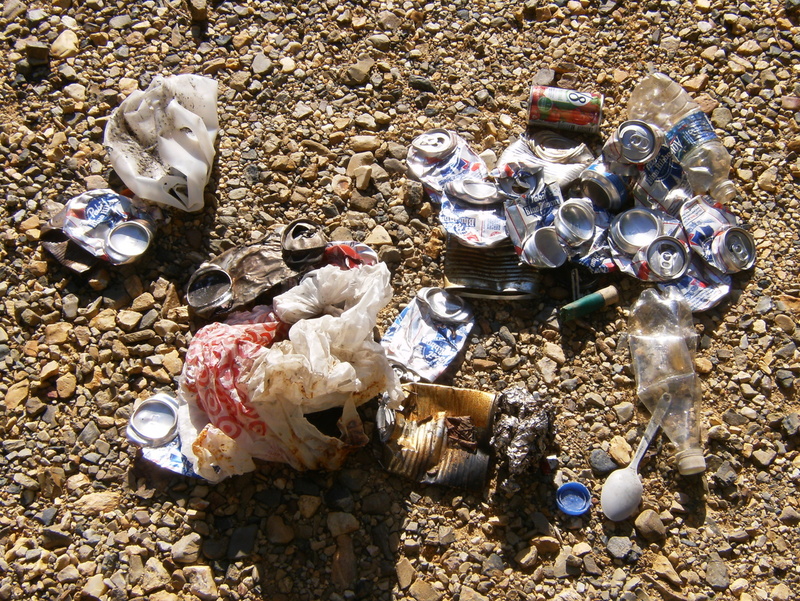 The beer cans made a heck of a racket in the trash bag as I walked, which was pretty annoying until I realized I had invented Arkansas Bear Bells. Soon I’ll be rich. 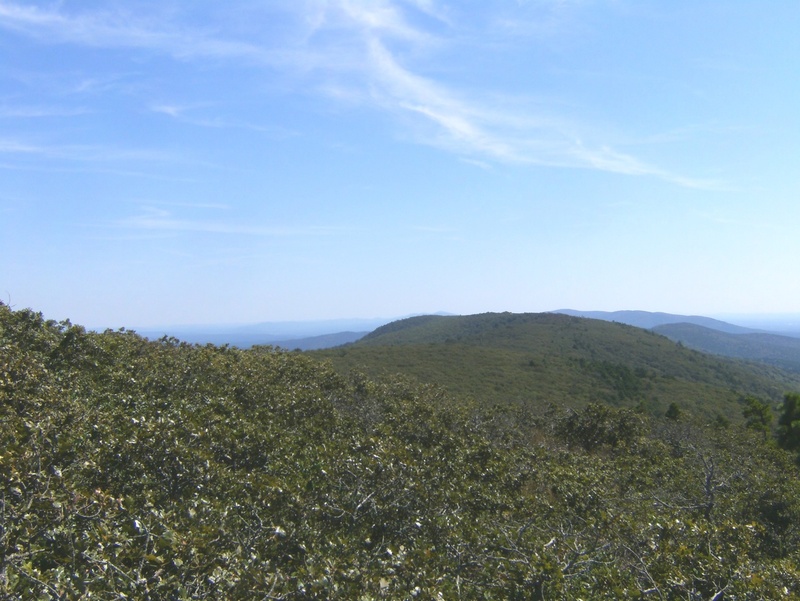 There are a couple places before you reach the end of the trail where you can get a good view to the south and west, including the lodge in Queen Wilhelmina State Park on neighboring Rich Mountain. Only at the end, though, can you look back east across much of the mountain range. I made a brief attempt to go further west from “the end” but the area is covered so densely with scrub oak that it would be tough going. Best to go around. The trail is the red line on this map. With the trail head at 1550′ and the end at 2660′ you know you’re in for a bit of a climb but there’s also an area near mile 4 where you take a sharp turn down hill and give up 400′ as you navigate the rock garden before climbing again and passing the big rock slide. 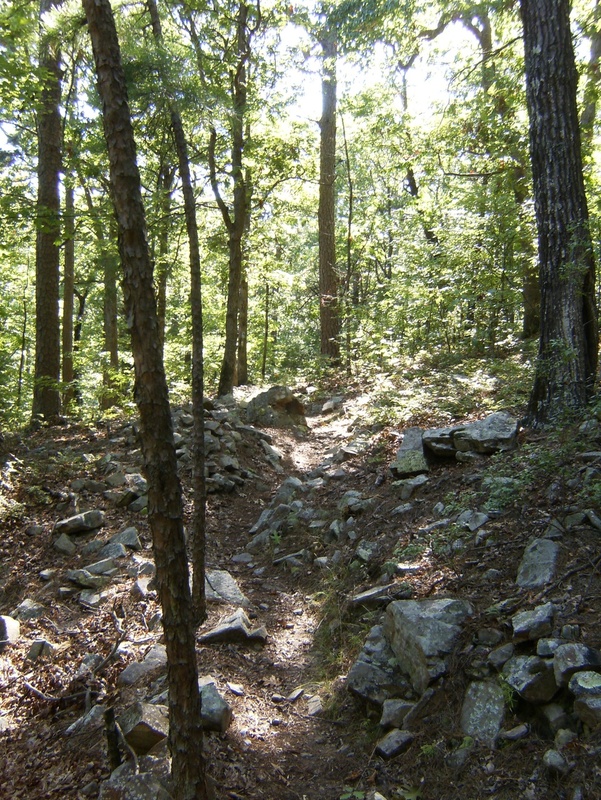 It’s not a proper hike in the Ouachitas unless there’s a large rock garden to navigate. The trail blazes disappeared a bit before reaching the wilderness boundary but the trail was generally apparent. The blazes did reappear through the rock garden where the trail was often a bit obscure. Some areas are very brushy with briars in abundance. I didn’t see the chimney or any trace of the homestead other than the rock wall but will return during leaf-off for another look. I did see the water source mentioned by Tim a bit south of the trail and noted on the map but there didn’t appear to be any fresh water flowing in and it wasn’t something I would readily drink from. 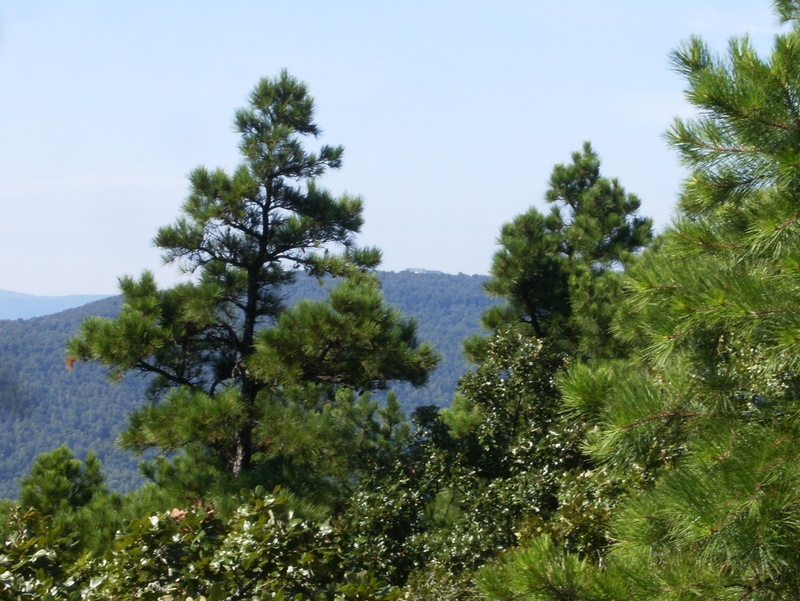 This entry was posted in Uncategorized and tagged Hiking, Ouachita Mountains, Ouachita Trail. Bookmark the permalink. 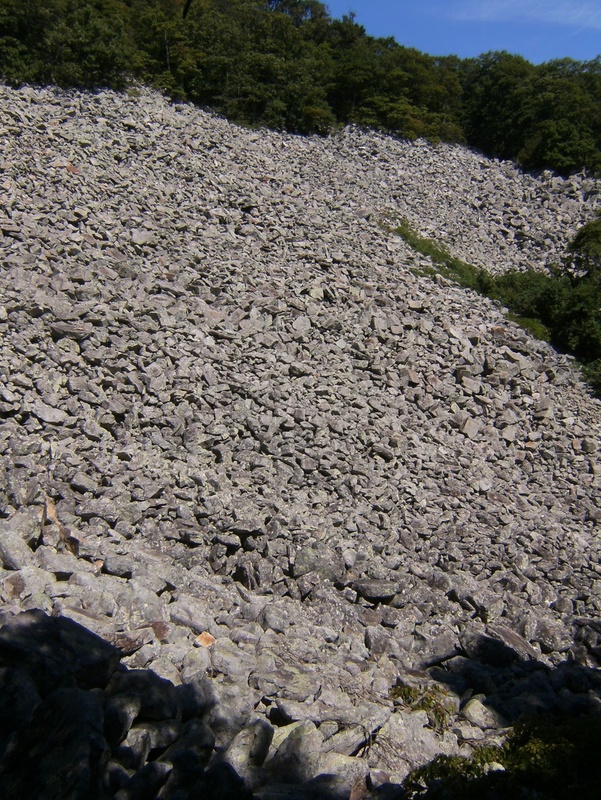 That “rock slide” is a classic talus field. Nice photo! 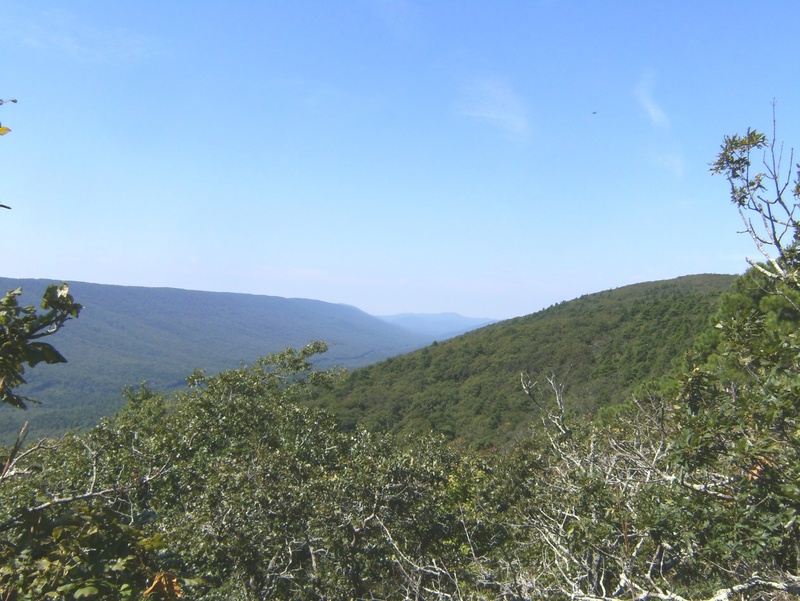 I need to do some hiking and backpacking in Arkansas.